New extra-large platform and Genie Lift Tools accessories help maximise safe productivity for working at height. Designed to help maximize safe work at height, at bauma Munich – booth n° FM.711 – Genie will be showing a prototype of a new Genie® 4 m (13 ft) platform for use with Genie Xtra Capacity™ (XC™) mid-sized telescopic boom lifts. This new supersized platform option will be available to customers in the Europe, Middle East, Africa and Russia (EMEAR) region in Q3 2019, with availabilities in other markets to follow. It will initially be provided as a pre-delivery fit and later as an aftermarket option. According to de Kluijver, focusing on enhancing efficiency and promoting good practices by reducing the risks involved when performing specific repetitive tasks at height, the brand will also be giving a preview of its new range of Genie Lift Tools™ accessories at bauma, including the CE-compliant Genie Lift Tools Expo Installer for boom lifts and two Genie Lift Tools Access Deck prototypes designed for booms or scissor lifts. Built for use in conjunction with Genie Xtra Capacity(XC) S®-45 XC, S-65 XC and S-85 XC boom lifts that offer an expanded work zone, this new extra-large 4 m (13 ft) long x 0.91 m (3 ft) wide platform prototype offers operators the benefit of accessing a much larger working area quickly and easily. Reducing the number of times needed to stop to reposition the machine each time workers reach the platform’s furthest edge, this new super deck provides the ability to get more work done, more rapidly and more comfortably. Designed for use with the above-mentioned Genie XC boom models, when using this new platform operators also benefit from the advantages of key features that are specific to this new generation of Genie machines. These include automatic envelope control, as well as load sense and tilt sensor capabilities that allow simple platform positioning, the ability to limit the operating envelope to match the load chart and to perform zero-load calibrations for a lift capacity of up to 270 kg (600 lb). As a result, operators save even more time to focus on their job. Significantly increasing productivity, this new 4 m (13 ft) platform option is ideally suited for tasks that involve covering an extensive working area. Key applications include renovation and painting of buildings, window cleaning and cladding, among others. banners and hanging decor. It is designed for use with articulating Genie® Z®-51/30 and Z-62/40 boom lifts and Z-45 and Z-60 series models and mid-sized Genie telescopic machines. For fast setup and removal, the Genie Lift Tools Expo Installer can be attached to a boom platform by one person quickly and easily in about five minutes. 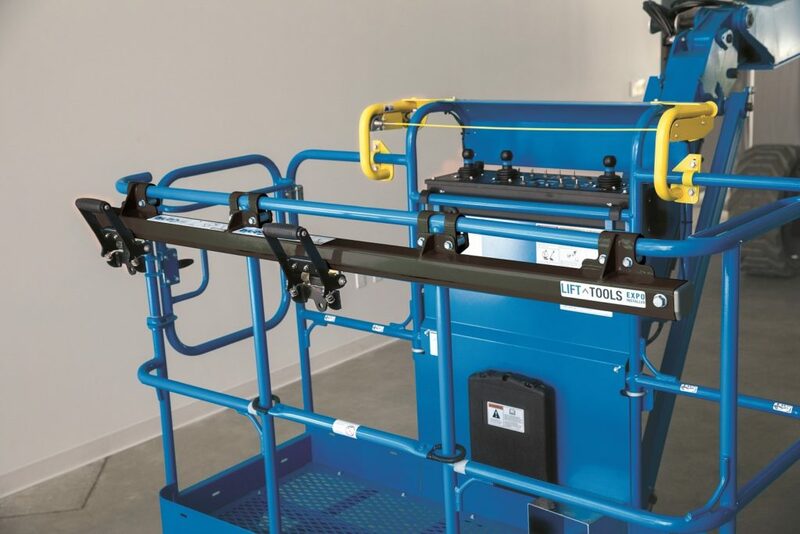 Similar in design to the popular Genie Lift Guard Fall Arrest Bar accessory, this productivity tool boasts a sliding track design with two trolleys that can carry a combined capacity of up to 113 kg (250 lb) for use with various rigging types. When lifting to height, brake pads secure the trolleys from sliding when the machine is in motion. Certified globally, the Genie Lift Tools Expo Installer will be available in EMEAR countries as from June 2019. 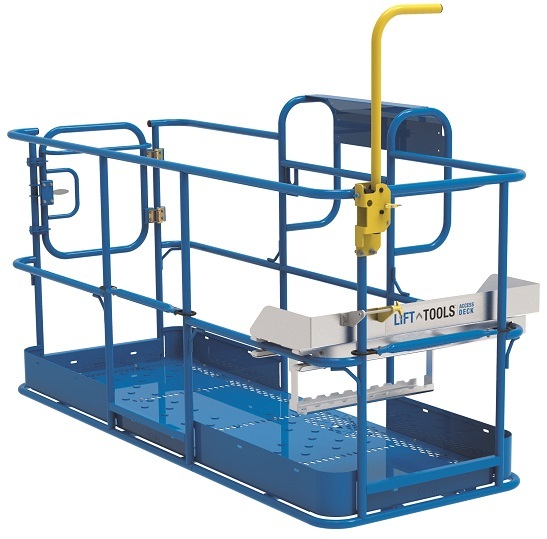 Rated for both indoor and outdoor use and engineered with non-slip decking on a wide, stable surface for use at height, the new Genie Lift Tools Access Deck accessory is ideal for use in HVAC, electrical, lighting, plumbing and welding applications, as well as between rafters or other structures at height. For best practices in safe use, only one Genie Lift Tools Access Deck for booms and scissor lifts can be used per platform, and Personal Fall Protective Equipment (PFPE) is required while using the Genie Lift Tools Access Deck. This additional access solution enables operators to get into restricted spaces, when a mobile elevating work platform’s (MEWP) platform is too large to access these areas, providing operators with a secondary surface to work from, elevating them 0.56 m (22 in) above the platform floor. It comes with a handle that provides operators with three points of contact when working at height. The handle can be folded out of the way when not needed in the work area. 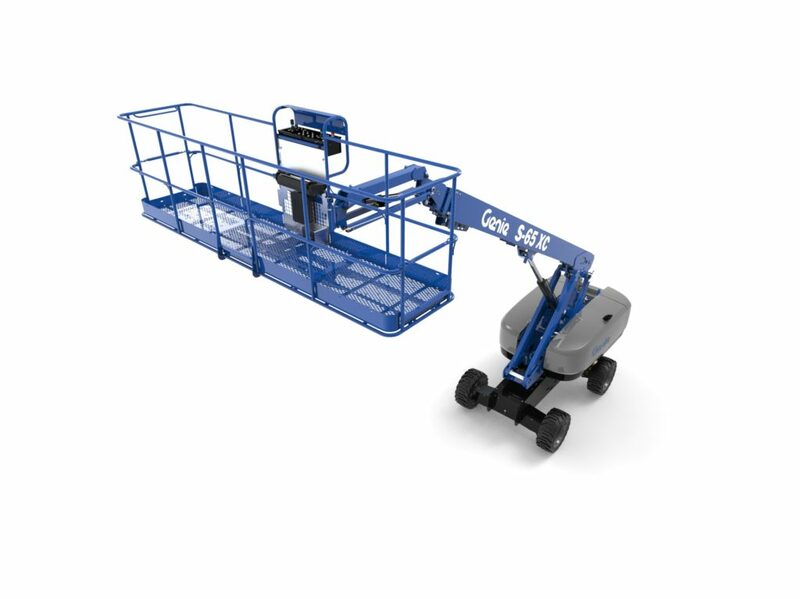 Installed on the mid-rails only at either end of S telescopic and Z articulating boom lift platforms, the Genie Lift Tools Access Deck allows a lift capacity of 136 kg (300 lb). Also available for Genie GS™-1932 scissor lifts, this version installs to the inside of the extension deck guardrails and offers 102 kg (225 lb) lift capacity and will be compatible with additional scissor lift models in the future. Light enough, it can be carried and installed by one person, without any tools, in less than 5 minutes. Both Genie Lift Tools Access Deck accessory prototypes are currently being evaluated for use in selected EMEAR markets. If you would like further information on any of the Genie Access Equipment range, please contact us on +44 (0)28 9084 4251.